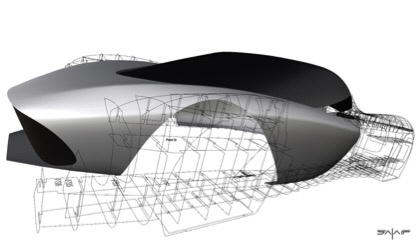 It’s every car-designer’s dream—to design and build a supercar from scratch, with no constraints. 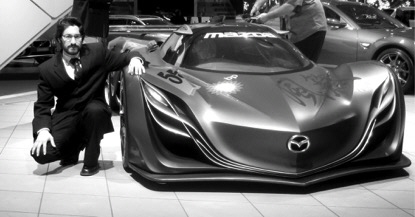 Talking with Carlos Salaff, ex-Mazda exterior designer, I realize he is living that dream—he’s the master of his own creation. 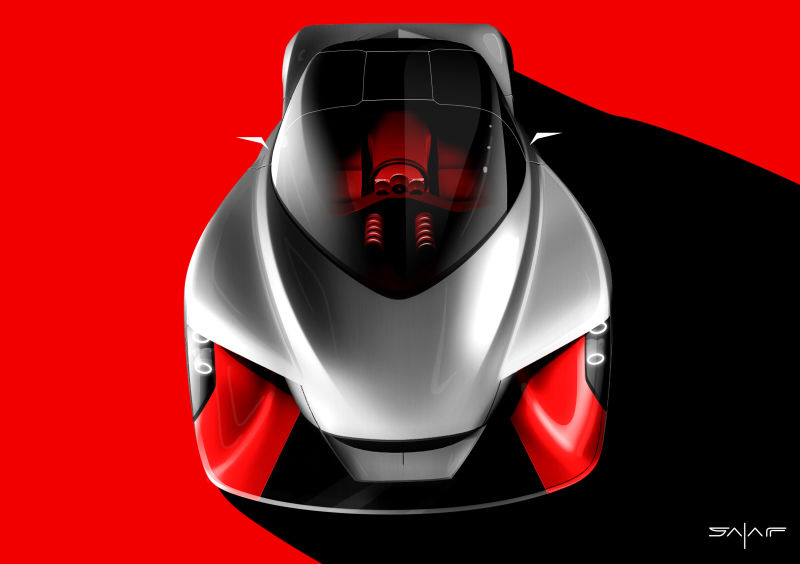 And what a creation: Project Caden is a supercar with voluptuous surfaces formed by hand, flowing together to create the ultimate visceral driving experience. 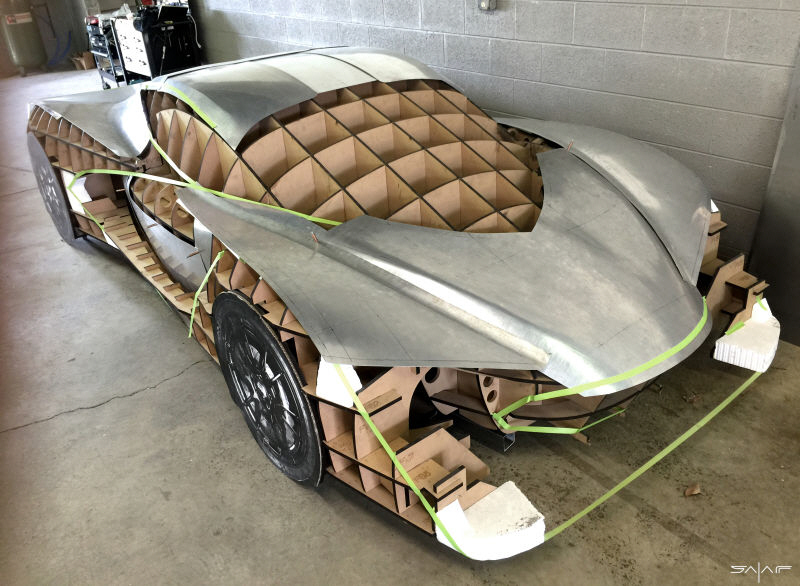 Salaff worked at Mazda’s Southern California design studio for a decade, and was part of the exterior design team for the Ryuga, Nagare and Furai concept cars, as well as production vehicles such as CX-7, Mazda 3 and new MX-5. In 2012, he formed his own car company, SALAFF. I spoke to Carlos from his base In Cleveland, Ohio. Carlos Salaff: I started thinking about this project seriously in 2008 at Mazda. 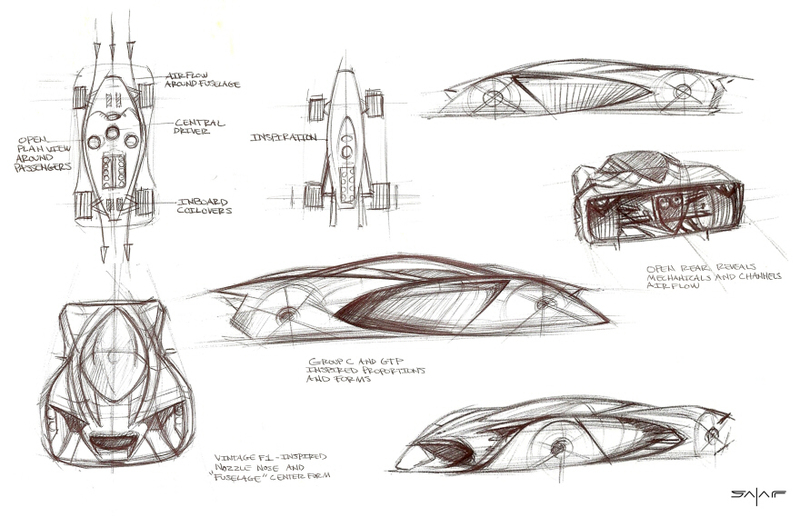 It was around the time we were working on the Furai—a big inspiration—and it made me want to continue that level of design excitement. Working on that kind of project, and then seeing the concept go away, I remember thinking: ‘Wow, this could be a production car!’ But that’s the nature of a big car company—to always bring in the bread and butter. I wanted to dive into something more exciting. While the auto industry prepares us for a future where we no longer engage in the driving experience, there is a groundswell of designers, engineers and innovators keen to celebrate the tactile, man-machine interface. 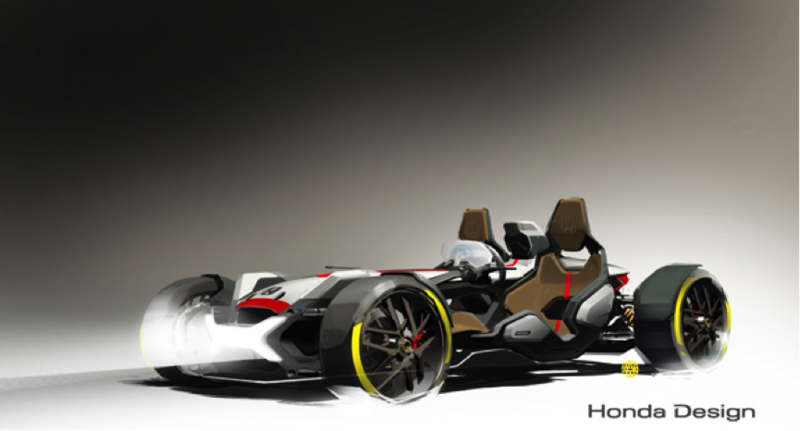 Honda’s 2&4 concept shown at Frankfurt was an example of this raw, interactive analogue machinery—and Project Caden was born with the same philosophy. “The extremes are becoming more apparent—the more society moves towards a digital future, the more we will want ‘connectedness,’ and the more we’ll crave that special union with the machine. That’s what we’re seeing more and more, and it’s fascinating. I definitely have nothing against autonomous vehicles—I’ve been stuck in Los Angeles traffic many times! I love the idea of getting in a very sleek smooth architectural space that can whisk me to my destination and I can do something productive in the meantime. But I also think there’s a need for the human soul to create these very tactile experiences and for us to not lose sight of that as a society. That’s the place I want to play in; I’ve always been a tactile guy—Star Wars over Star Trek for that reason! Salaff: The interior will be about the feel—a manual shifter, toggle switches—combined with progressive forms and authentic materials; there’s just something about aged leather, saddle-leather, that really enhances the interior experience. I’m following the race-car paradigm with a central driving-position. Passengers offset to the rear, a central driving position, like the McLaren F1. 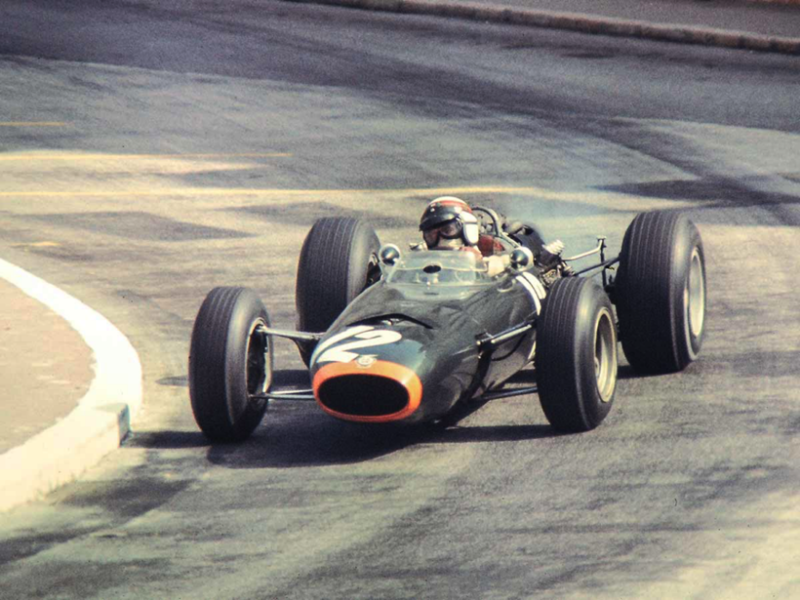 I started with a traditional seating position, but it’s a natural thing to put the driver in the middle to enhance the experience. The doors will be half-door gull-wings. 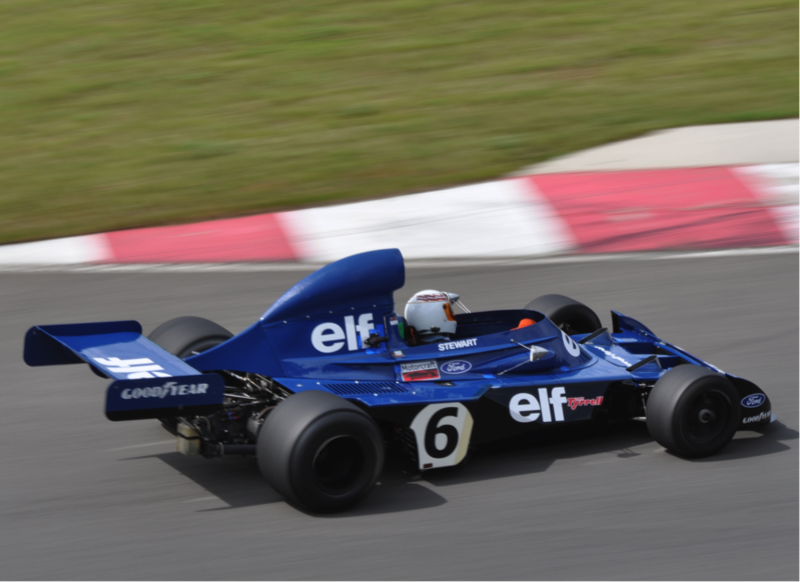 I want to take complexity out of the car; keep things simple. 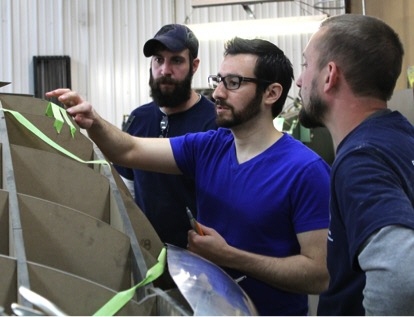 Craftsmen Rodney Roeder and Peter Jackson attaching body panels to the metal shaping buck. 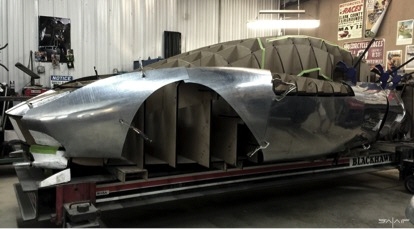 Caden’s body is being shaped at Pete’s Custom Coachbuilding in Cleveland, Ohio. Well, I obviously don’t have the OEM budget, so I have to think very strategically about what matters most. My plan is to build this prototype, and to continue making Project Caden in small numbers, focusing on the artistry, the quality. 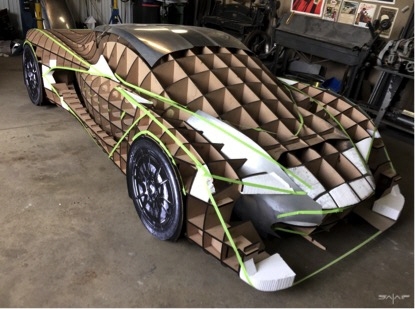 Logging the design and build process is key—with so many supercars you get this ‘ta-da!’ moment, but you don’t see the story behind it, the creative story—I think it is important to establish that relationship with people. I’d say: ‘Learn a lot more than what’s expected right now in the industry. Learn everything about a car, from the engineering to the business side. You have a limited time as a student and you can’t do it all, but when I think back to my final projects I’d look more at how to integrate the engineering and aesthetics in a better way. 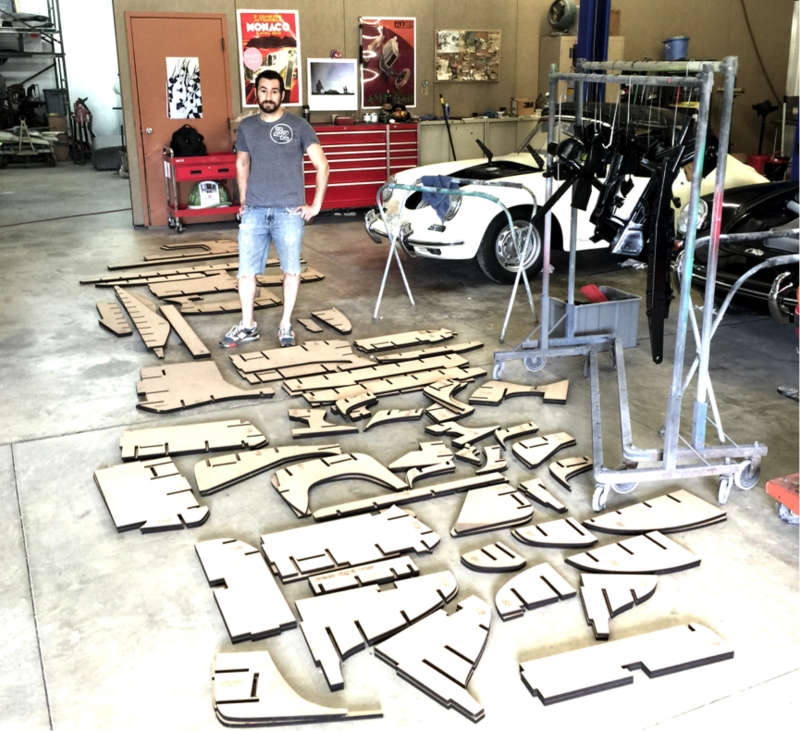 Project Caden is modeled digitally – Carlos designed every element himself before starting the build: exterior and interior, engineering and chassis design. 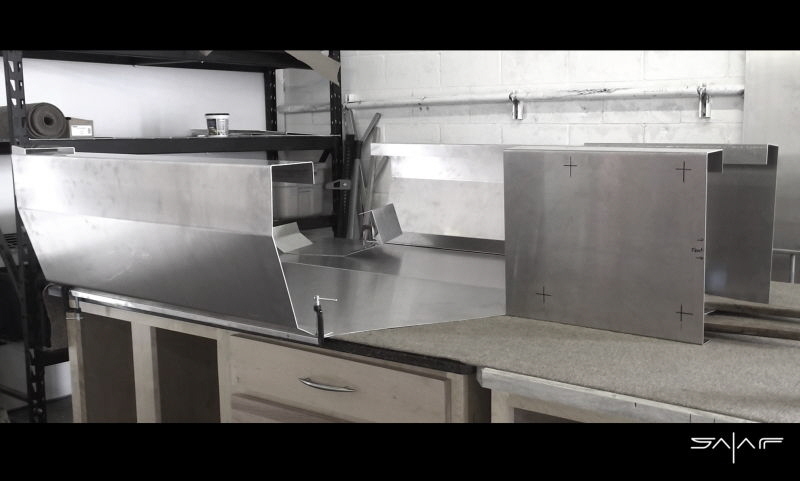 The aluminum tub under construction at Metcalf Racing in Garland, Texas. 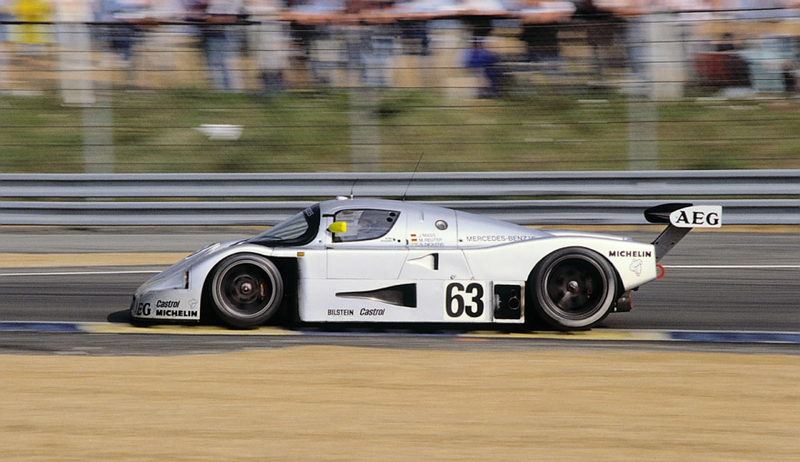 Metcalf managed structural and suspension engineering for Caden, as well as chassis construction. 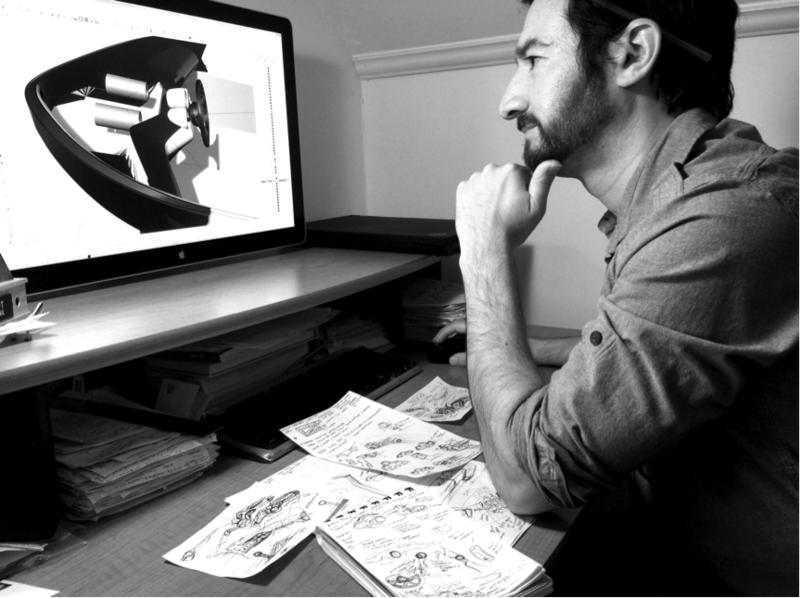 The melding of old and new technologies is something that Carlos is keen to explore. 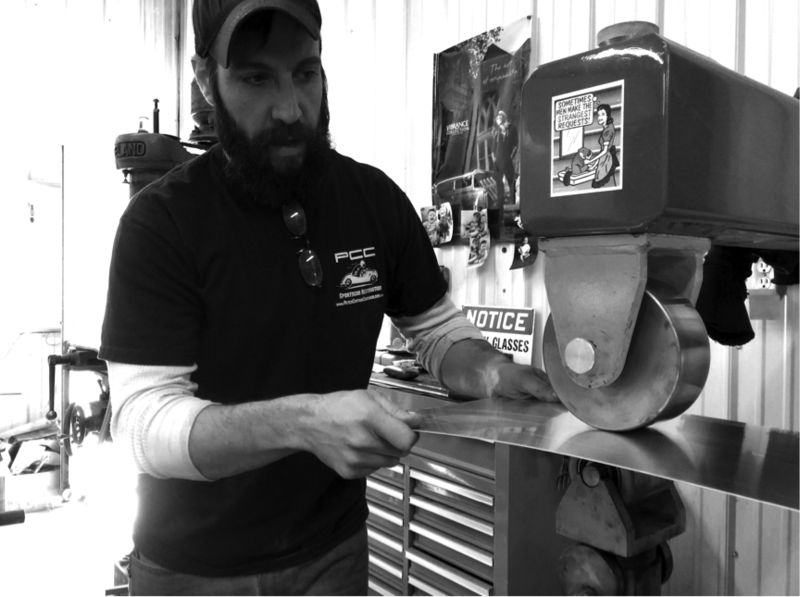 He has a CNC milling machine, which he’s used to mill windshield glass-molds, interior surfaces and door-skins. 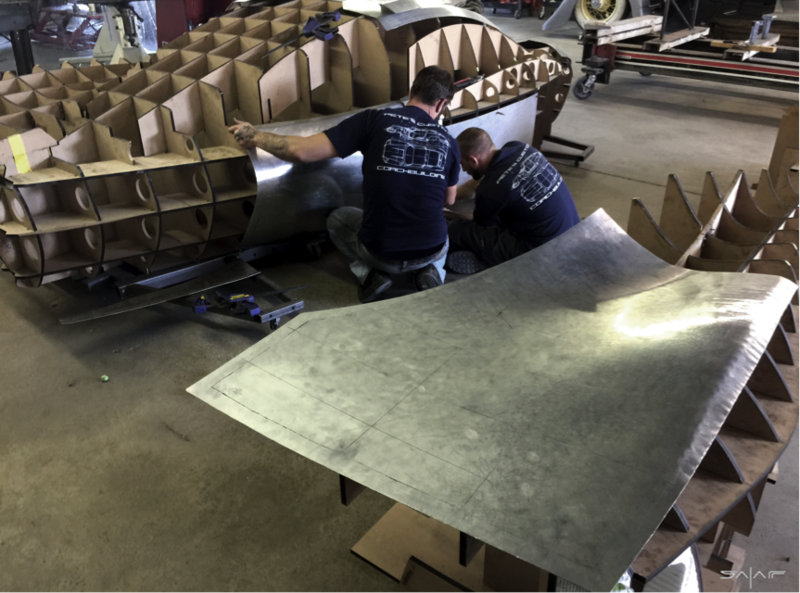 At the other end of the chronological scale is a metal-forming English wheel, used to create the exquisite aluminum curves that form the exterior skin (using the Italian Superleggera method pioneered in the mid 1930s). This juxtaposition between digital design and analogue construction methods is key, and reflects a real movement. We’re entering an age where the digital design-canvas offers enormous scope for new forms of personalization and new ways of expressing aesthetic personality, yet we still covet and value products created by artisans, craftsmen skilled at hand-beating metals, stitching leather with a needle and thread.